Almost everyone likes to snap a selfie because it is a fun way to tell your friends about how you feel or what you are doing at a given moment. There is almost nothing wrong with making yourself look a little better on a selfie than you actually do, as long as you don't go too far to set some unachievable beauty standard. There are a lot of selfie apps on the App Store, and we decided to single out the ones that have the best features and offer the most fun to its users, to save you the trouble of wandering aimlessly through the App Store searching for the perfect selfie app. 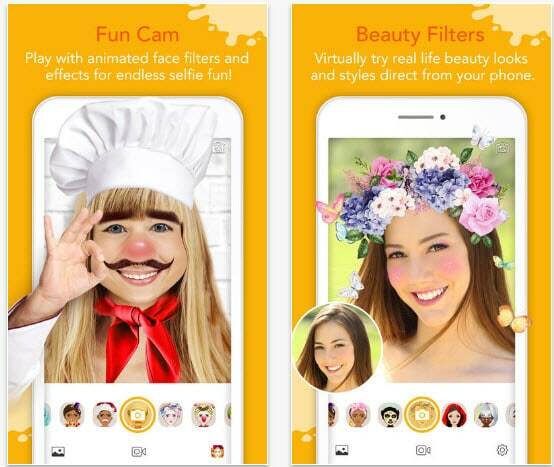 Whether you are just looking for an app to create a funny selfie or you'd like a tool for your iPhone that will let you apply beauty filters, each app in this article will allow you to create amazing selfies that might even become a hit on social media. Capturing yourself in a perfect pose is easy with Retrica. The app provides a powerful filter for each occasion you might find yourself in and in addition, the real-time filters allow you to save time on photo editing. 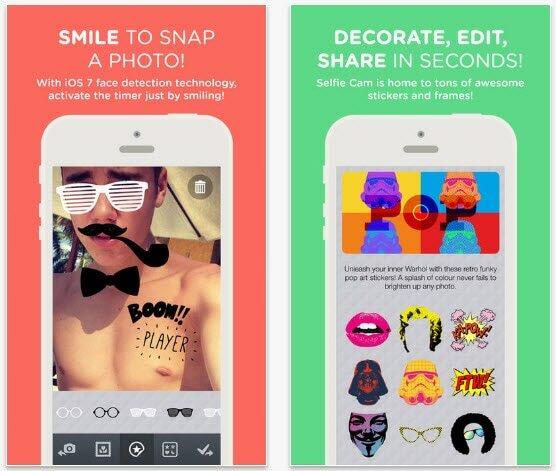 Doodle and Text options let you express how you feel through words and drawings, while the collection of more than a hundred stickers lets you have fun with your selfies. 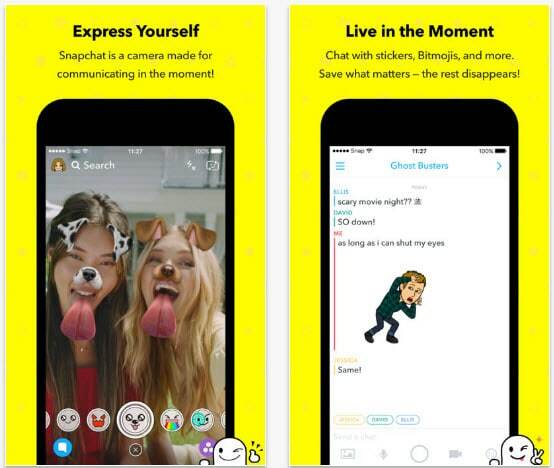 The app enables you to record videos and create GIFs, and each photo, video or a GIF created with this app can easily be shared on a social media platform. 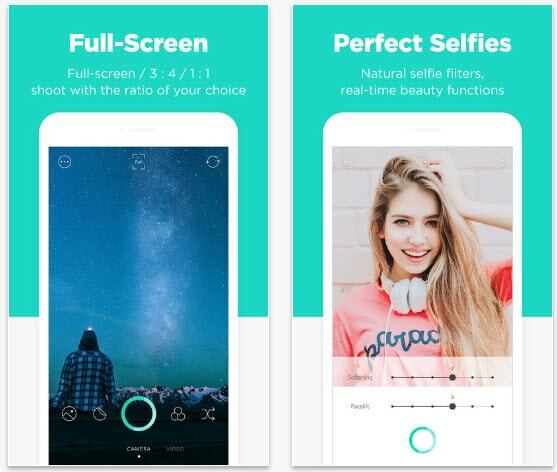 The Beauty and Makeup filters offered by this iPhone selfie app will allow you to make your face look smaller, enlarge your eyes or whiten your teeth. 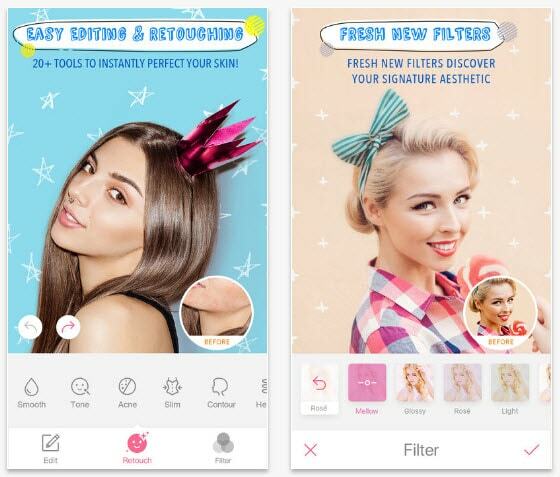 These features are accompanied by more than a hundred classic photo filters and live photo filters which include effects such as Magic Skin, Double Exposure or Sketch. The Camera 360 app provides game-changing 3D stickers that will make your photo an absolute success. What's more, the app lets you become a part of the community through fun challenges. Would you like to look like a beauty queen on every selfie you take? 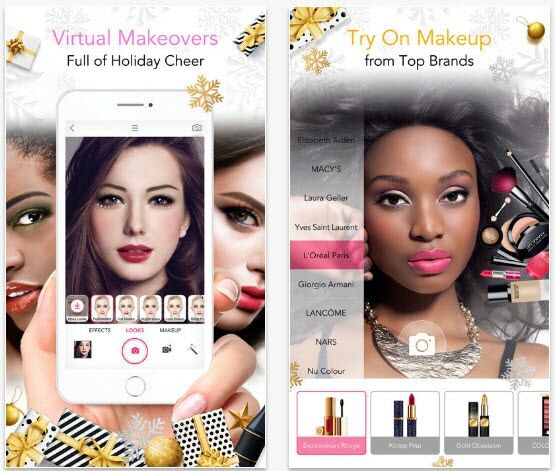 Thousands of people who are already using the BeautyPlus confirm that this is one of the best selfie apps for iPhone. The powerful photo editing tools allow you to remove any skin flaw, create a perfect smile and even make yourself a few inches taller. The Anime Cam will instantly turn you into your favorite cartoon superhero, while the Magic Brush tool will let you add some fantasy to a selfie. If you think that it is impossible to look perfect on each selfie you take, you should try using the YouCam because it will prove you wrong. This iPhone selfie app provides a One-Touch Analysis that tells you all the information you need to have about your skin, while a plethora of other options allow you to remove any imperfection from your face or skin within seconds. If you want, you can also change your hairstyle, do an eyebrow makeover or apply lipstick in order to create a more fashionable look. One of the best selfie apps for iPhone lets you take selfies that can be shared on all of the most popular social media platforms. Candy Camera lets you choose from more than a hundred artistic real-time filters that don't require any additional editing, but if you want, you can edit your selfies with photo editing tools that are very easy to use. 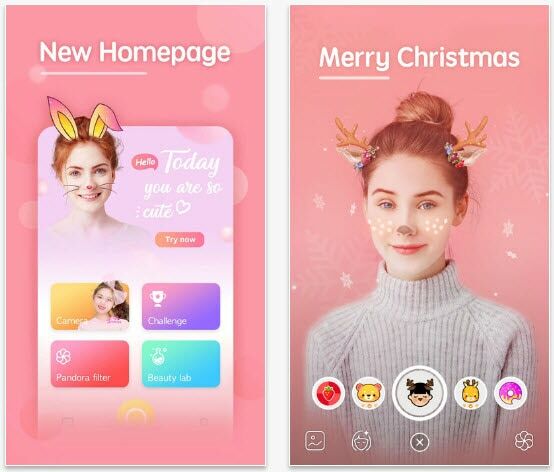 Over fifty million active monthly users make Candy Camera one of the most popular iPhone selfie cameras on App Store, while its remarkable features place it among the best apps for selfies. Don't take yourself too seriously, have some fun with your selfies. The YouCam Fun app will let you have all the fun you want with its live face filters that create silly but adorable selfies. In case you would like to take a more serious selfie the app will supply you with a nearly endless amount of filters, backgrounds, frames, and layouts. Each selfie you take with this app will stand out and if you ever feel goofy you can easily turn yourself into a cat or some other animal you like. The fame of this app can hardly be clouded by any other iPhone selfie app on this list and for good reason. 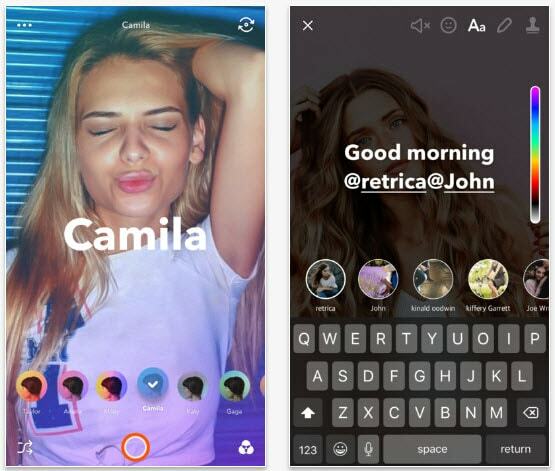 The Snapchat's camera lets you record videos or take photos and if you ever feel insecure that you won't capture the moment perfectly you can always use the Multi Snaps option that takes several photos in a row. The app lets use some of the iconic filters that are incredibly popular on social media, while the face and world lenses allow you to create your own fantasy world. There is nothing easier in the world than taking a selfie with this app. The camera has a number of built-in frames and you can just swipe to find the one you like the most. Selfie Cam features a collection of stickers that allow you to create silly selfies that will make all of your friends laugh. You can also edit photos that weren't taken with this app, and the app lets you share all of your selfies to Instagram, WhatsApp or Facebook. Have you seen the face swaps on the social media, they are hilarious aren't they? You can start swapping faces today if you download the original face swap app. The latest version of the app offers some pretty cool 3D effects too, but don't expect much more from the Face Swap Live app. There are no photo editing features, no stickers or filters, but this app will surely allow you to have a lot of fun while you are taking selfies. 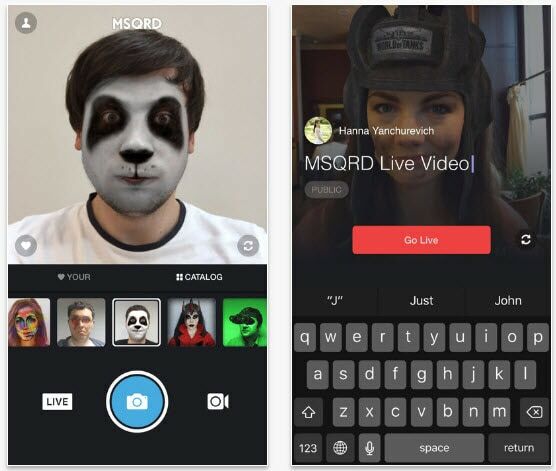 The features provided by the MSQRD are both entertaining and cool. The app lets you take photos and record video selfie animations that feature crazy effects that will make everyone laugh. You can also swap faces with your friends, or turn yourself into an adorable panda and share your creations with friends and family on social networks. 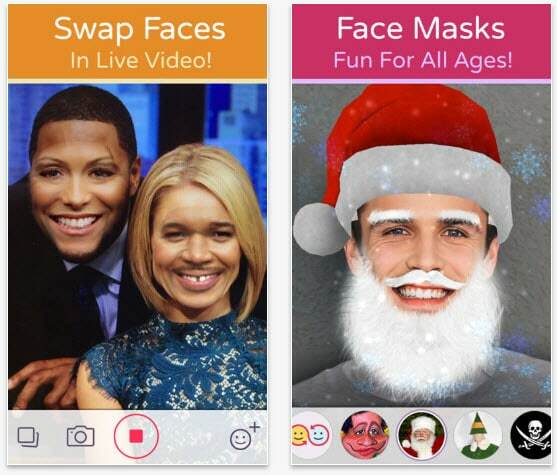 If you download this app now you may even find some cool Christmas special masks that will allow you to have some fun during the holidays. Selfies are undeniably a part of our lives because each day we see a funny or beautiful selfie someone posted on social media. The iPhone selfie apps will allow you to enjoy the process of taking a selfie or remove any detail from a picture you don't like. Let us know in the comments which iPhone selfie app you like the most!